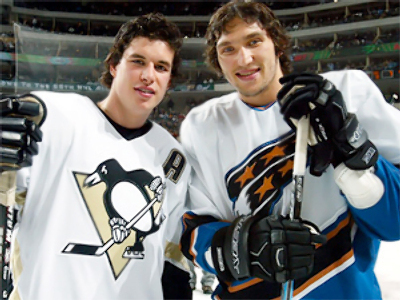 Ovechkin – Crosby 4-4, Caps – Penguins 2-0! Russian superstar Alexander Ovechkin netted his first NHL play-off hat-trick to lead Washington to a hard-fought win over Pittsburgh and Sidney Crosby in the Stanley Cup quarter-finals. Ovechkin had the winning hand in the match-up of the league's marquee players with his fifth, sixth, and seventh goals of the play-offs. The all-time forward netted his second and third goals of the game within three minutes late in the third period to stage the comeback for the Capitals. But Crosby, too, had a hat-trick for the Penguins, and did score a goal in the dying seconds, but it ended 4-3 for Washington. Earlier, in their first clash of the series, the two NHL superstars also drew at one apiece, while Oveckhkin’s Washington won it 3-2. The Caps now take a 2-0 lead in the best-of-seven series. Game three will be held on Wednesday in Pittsburgh.